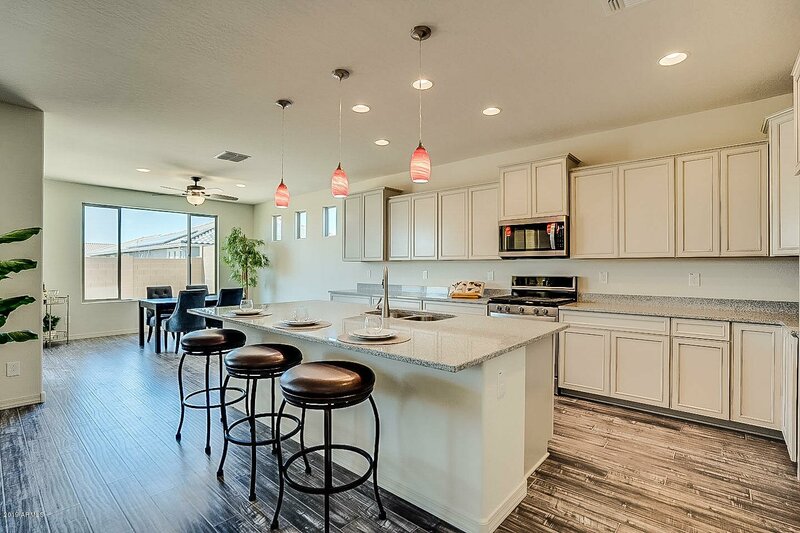 Water for residents of North Phoenix, Anthem and much of parched desert known as the Valley of the Sun comes from the same sources: The Colorado River, local runoff into Arizona lakes, and Valley groundwater that’s pumped into the system. 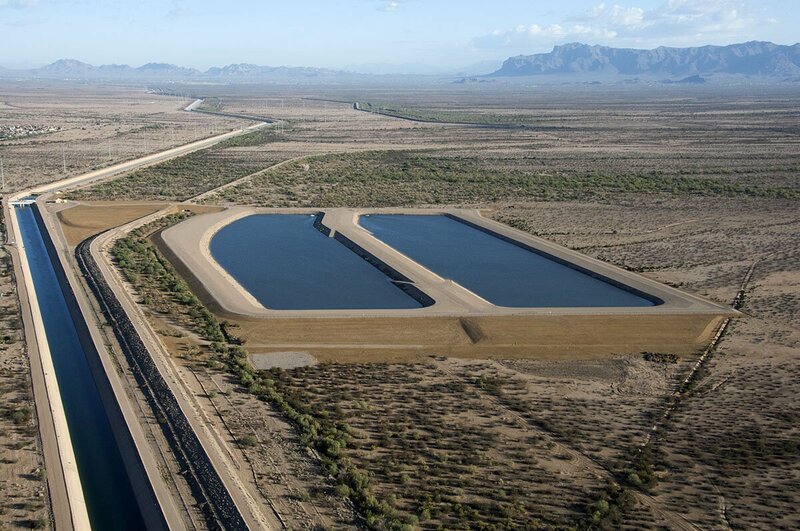 SRP uses canals and pipelines to carry water to Phoenix Metro Area from the Salt and Verde Rivers, which are fed by local runoff as well as snow above the Mogollon Rim northeast of Phoenix. Water is stored in Roosevelt Lake and behind other dams in the system. 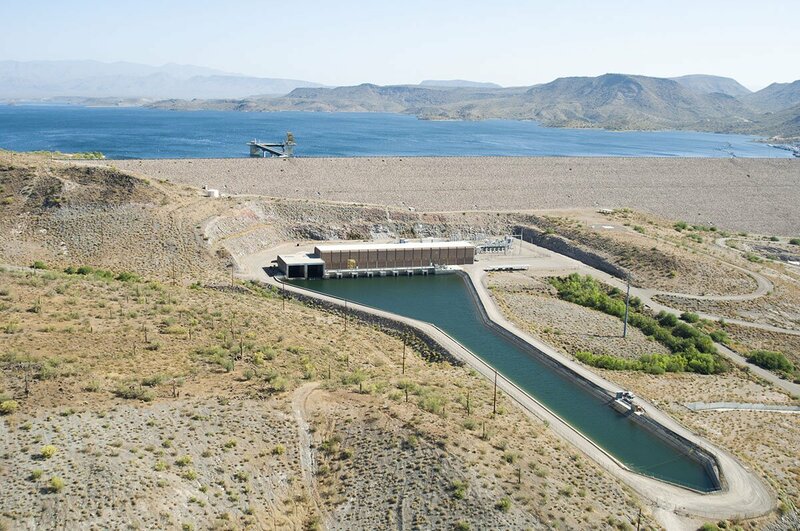 CAP is a state-run system involving a 336-mile canal that starts at Lake Havasu, runs through Phoenix and on to Tucson, serving about 5.3 million people in Maricopa, Pinal and Pima counties, including residents of Anthem, Phoenix and other major cities in the Valley. There are fifteen pump stations lifting water 3,000 feet at various points along the way. CAP construction began in 1973 and took 20 years to complete, at a cost of $4 billion. CAP is Arizona’s largest user of electricity. 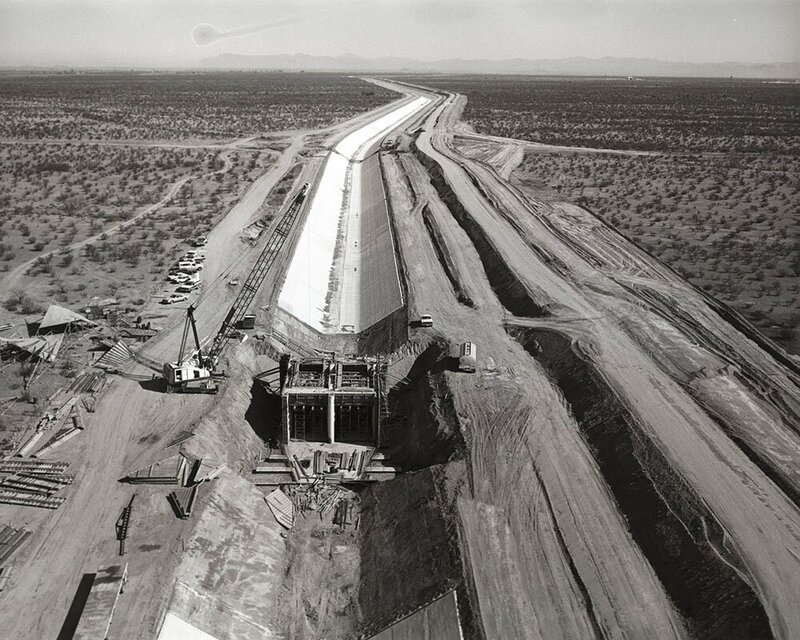 Construction of part of the Central Arizona Project canal system. Lake Havasu is the lower of three major lakes that store water along the Colorado—upstream are Lake Mead and Lake Powell. Lake Pleasant, in North Phoenix, helps store the CAP water, and also collects local runoff. The lake, initially created by construction of Waddell Dam in 1927 (which was raised to triple capacity in 1992), stores water during winter and spring for delivery in summer and fall. The City of Phoenix and EPCOR, which serves residents of Anthem’s east side, both rely on CAP water for a portion of their needs. 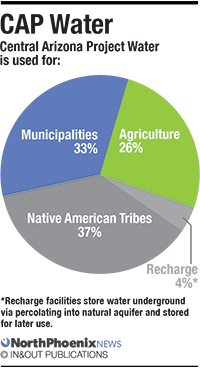 CAP provides more than 1.5 million acre-feet of water annually (one acre-foot typically serves two families of four). Phoenix also treats effluent and uses some of that reclaimed water to maintain parks and for recharging local groundwater aquifers. Likewise, EPCOR in Anthem provides reclaimed effluent to water parks and other common areas. At recharge stations like this one, water is allowed to percolate into natural underground aquifers for later use. For nearly two decades, much of the West has been in what by recent historical standards amounts to a drought. Scientists and other experts say the amount of water flowing down the Colorado river nowadays, and likely into the future, is less than what flowed during a historically wet period in the early 20th Century, when agreements were made to divvy up the river’s water for use throughout the West. States with Colorado River water rights: Arizona, California, Colorado, Nevada, New Mexico, Utah, Wyoming. “This over-allocation means the Lower Basin states [including Arizona] are promised more water than is actually available in an average year,” according to CAP. 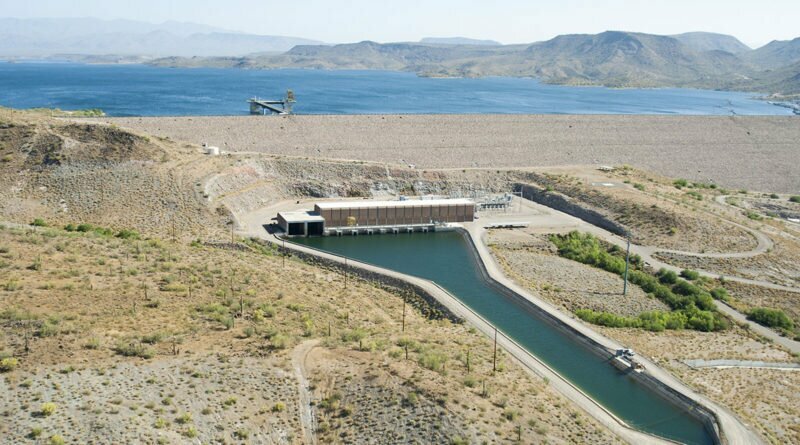 If Lake Mead, which has been dropping 12 feet a year, falls below 1,075’ elevation, mandatory restrictions would go into effect. CAP officials, and those in cities throughout the Valley, aggressively encourage water conservation (how you can conserve water).